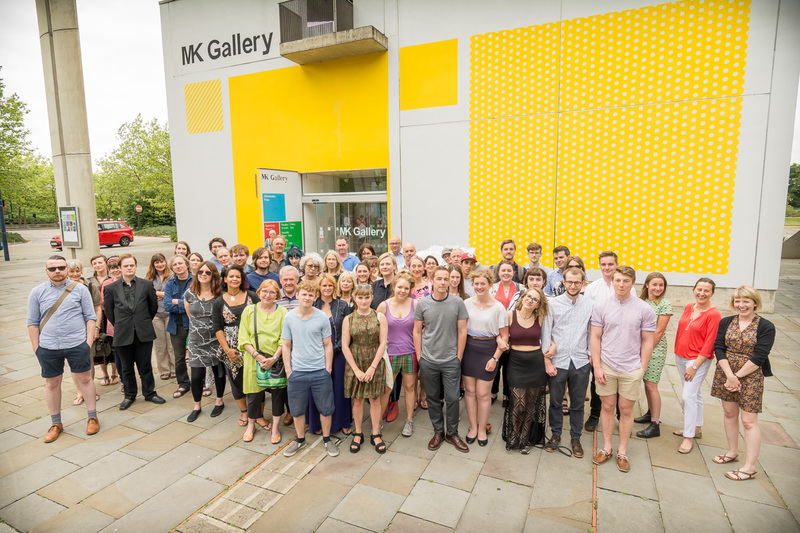 Group photo of some of the 70 MK Calling 2015 artists and performers at the start of the preview on 2 July 2015. This weekend (5/6 September) is the final opportunity to view our summer exhibition, MK Calling 2015 before it closes at 5pm on Sunday afternoon. That means it is also the last chance to view the building in its current form, before we begin to decommission it in readiness for renovation and expansion. It’s exciting to think that the next time the building opens it’s (new) doors to the public will be for its relaunch in 2017! So if you’ve never been, hurry along, and if you’re a regular visitor, why not drop in for a nostalgic look at the place, and how about posting a picture of yourself with your favourite work in the show on social media as a memento? We can’t wait to invite you back to visit the new space! Another reason to visit this weekend is the temporary, immersive artist audio installation exploring how the deafblind perceive sound. Free to visit in MK Gallery Project Space, it is the creation of sound artist Matt Lewis and national deafblind charity Sense. Visitors will be able to try out ambisonic (surround-sound) systems, sub bass vests (allowing wearers to feel vibrations of low-end sound frequencies) amongst other things. Opening times and more details HERE. And don’t miss the chance to see recent fine art graduate Emma Richardson’s week-long show in the Project Space. Its the one of four presentations as part of our annual Platform project. Details HERE. Please be assured that while the main gallery building is under development, we’ll still be very active, delivering a lively weekly programme of children’s workshops and public events in our Project Space, plus various offsite initiatives. 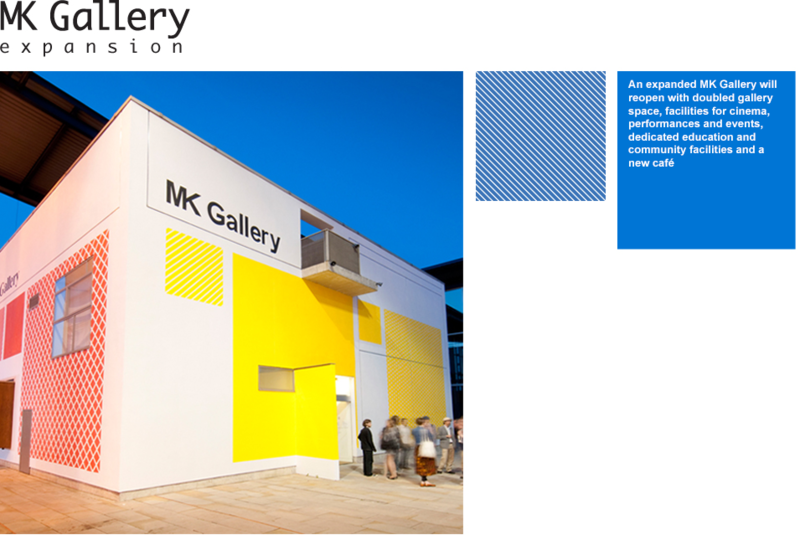 And on 8 October 2015, exactly 16 years since MK Gallery first opened to the public, our Flashback archival project opens. This series of monthly displays, presented online and in the Project Space, will allow us to explore our 16 year exhibiting history. For more information on Flashback, and details of how you can participate, see HERE.